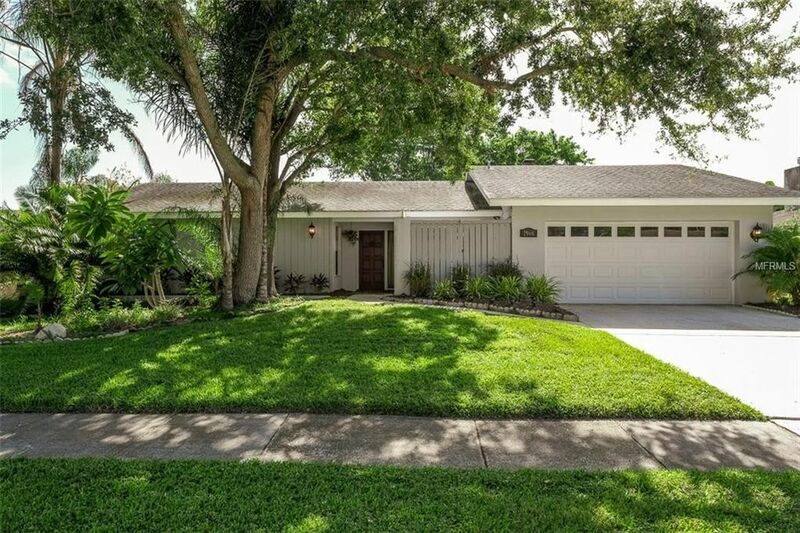 WONDERFUL CLEARWATER NEIGHBORHOOD...WITH OPPORTUNITY KNOCKING!!! 3 BEDRMS., 2 BATHS, 2 CAR GARAGE! VAULTED BEAMED WOOD CEILINGS, KITCHEN OPENS TO THE FAMILY RM., ZYRIAN STONE WOOD BURNING FIREPLACE IN FAMILY RM.! PASS THRU WINDOW ABOVE KITCHEN SINK TO LANAI/POOL AREA! COVERED LANAI TO WOOD DECKING AROUND POOL! 2 A/C UNITS, ROOF APPROX. 12 YRS. OLD! SCREEN ENCLOSURE FOR POOL, PRIVACY FENCED YARD! CENTRALLY LOCATED CLEARWATER NEIGHBORHOOD, MINUTES TO EAGLE LAKE PARK, CLEARWATER MALL, SCHOOLS AND BEAUTIFUL CLEARWATER BEACH!!! THIS HOME IS PRICED TO SELL AS IS !!! GREAT OPPORTUNITY FOR BUYER SEEKING THAT GREAT LOCATION FOR AFFORDABLE FAMILY LIVING!!! Directions: KEENE RD. TO LEFT ON ROSARY RD. TO LEFT ON ARVIS CIRCLE W.